Finding the right speaker system for your setup can often be a long and tiring task. Over the course of the years, we have tested out many different speaker systems and have come up with a list of our favorites including both the best sounding speakers as well as the best-priced speaker systems! Whether you’re just looking for the most basic and cheapest speakers, a high-end surround system, or uniquely designed PC speakers to complement your monitor and the rest of your gaming rig – we’ve got you covered! Below, you’ll find the best speakers available for gaming, music, and everyday use. Whatever your budget is, we guarantee you’ll be satisfied with the product for the money you’ve spent. 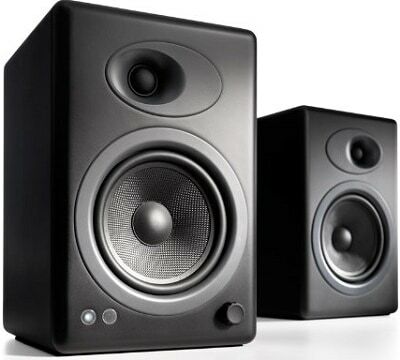 For the best listening experience, whether for gaming, music, or anything else, you should definitely invest in a 2.1 speaker system as the subwoofer provides the audio depth and bass. 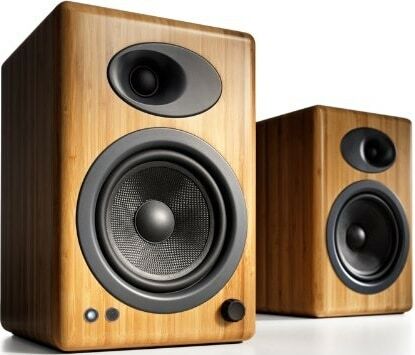 However, if you have a really limited budget, very little desk space, or if you already have a subwoofer you still want to use, the following 2.0 PC speakers are your best choices. Additionally, we’ve picked some speakers with built-in subwoofers which may not have as exhilarating bass sound as dedicated subwoofers but are much better than none, and cheaper as well. If you’re just looking for the cheapest sound output, you won’t be able to beat the AmazonBasics A100 by Cyber Acoustics for the price. Available as either AC powered (2.5W per speaker) or USB powered (1.5W per speaker), these tiny speakers are easily portable and offer overall exceptional value for the money. In case you want the best pc speakers under 20 USD, look no further. Note that the USB version of the speakers uses the USB port for power only. You will still have to plug in the green audio jack for sound production. 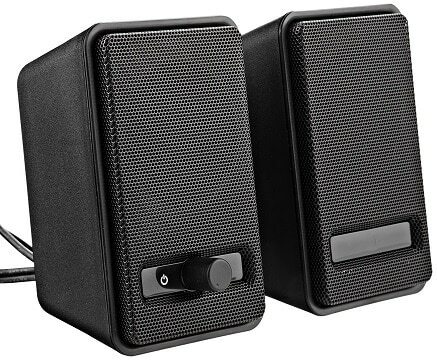 For the best computer speakers under 25 USD, we’ve picked the GOgroove BassPulse 2MX. These stylish speakers offer a noticeable improvement in sound quality over the AmazonBasics. They are also USB-powered or AC-powered using the adapter but have 2.4W per speakers with built-in 2.4W mini subwoofers for better bass depth. The GOgroove BassPulse 2MX speakers also feature LED lighting available in red, green, and blue color depending on the model. So, you can match the LEDs with the rest of your gear. The volume knob is on the main speaker while the switch for turning the LEDs on/off is located on the cable itself. Looking for even more stylish and cheap speakers? 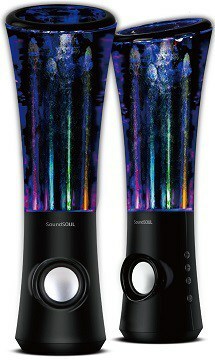 The SoundSoul offers unique speakers with water and LED lights which respond to the beat and volume of the audio to create an awesome and atmospheric listening experience for gaming, music, movies, and everything else. The sound quality is also very decent for the money, but if you want better audio overall, go for the GOgroove BassPulse 2MX instead. The SoundSoul speakers are also available with Bluetooth 4.0, but considering that you still have to connect the two speakers to each other, the wireless feel is kind of lost. 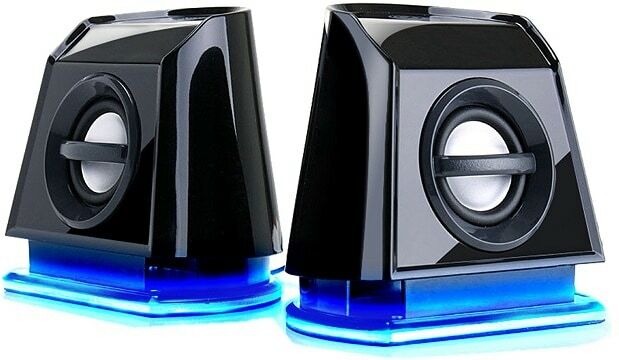 Whether you’re looking for the best office speakers to impress your co-workers or cheap but cool-looking speakers for your gaming rig, the SoundSoul Dancing Water speakers are definitely a worthy pick. These are available in four different colors, have 6 LED lights, two 3W speakers, and are USB-powered. Don’t need a dedicated bass or you have one lying around already? 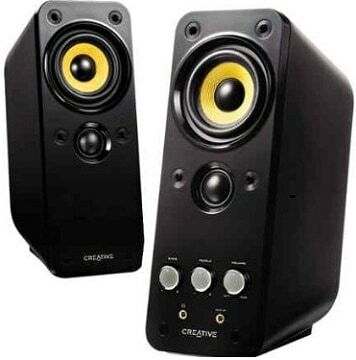 We recommend the Creative Gigaworks T20 series II as the best 2.0 speakers under 100 USD. These speakers have a sleek all-black design with yellow drivers hiding behind the mesh cover. This color theme means they are great for most situations and they will look the part on any desk. They feature high-quality drivers that work to provide balanced audio, which is helped by BasXPort technology, meaning you don’t need a subwoofer. Another great feature is that they can have two devices connected to them, as they have two audio inputs, meaning you do not have to spend time changing the cable over whenever you would like to listen to a different source. No emulated or integrated subwoofer can even come close to a dedicated and powerful subwoofer. These are the best 2.1 PC speakers on a budget under $100. If you’re looking for the best cheap computer speakers with subwoofer, you should definitely consider the Logitech Z213. Due to its excellent value/money, we don’t recommend getting anything cheaper and strongly advise you to save up at least for these speakers. 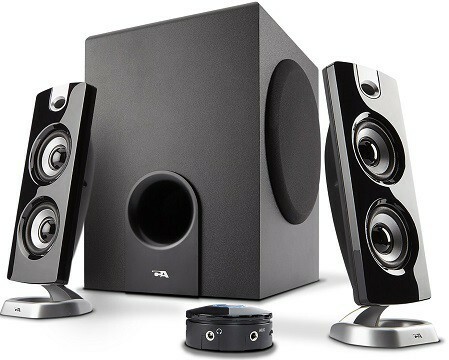 The Logitech Z213 provide a total of 7W power (2x 1.5W speakers and 4W subwoofer) with exceptional bass depth quality. Additionally, you get a volume mixer into which you can plug in your headphones while the subwoofer has its separate dedicated volume knob. Overall, the Logitech Z213 is our pick for the best computer speakers under 30 USD. 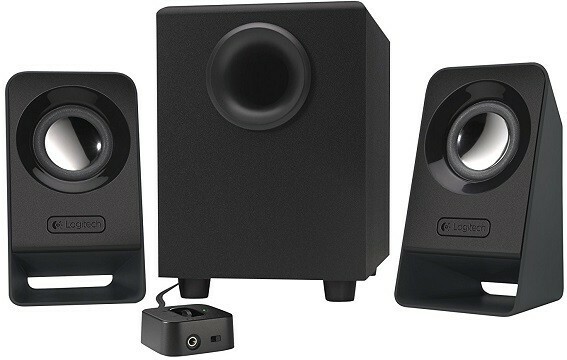 Now, for an extra $10, you could either get the Logitech Z313 which is the next-gen model of the Z213 but with stronger wattage (2x5W speakers and 15W subwoofer). However, we recommend investing $15 more instead for the Cyber Acoustics CA-3602. The best computer speakers under 50 USD are definitely the Cyber Acoustics CA-3602. Not only do they offer astounding sound quality with two 6W speakers and an 18W subwoofer, but also come with plenty of exclusive features and accessories. First off, you get a control pod for easier management of your connected devices. You can connect your headphones, an AUX device, separately adjust volume of subwoofer and speakers, and lastly, there’s the on/off switch. Everything you need within your reach at all times. You will also find a little stand for your smartphone and an extra AUX cable in the box. All in all, you won’t be able to find a better deal under $50. The speakers also look great and will easily suit any desk space whether it’s for office use, home entertainment, or a gaming rig. If your budget is somewhere between $100 and $200, these are the best PC speakers available in that range. Whether you need them for gaming or listening to music, you won’t be disappointed. Are you looking for something better than the Cyber Acoustics CA-3602? Is the wattage of every speaker mentioned so far laughable to you? Well then, the Logitech Z623 are just the speakers you’ve been waiting for. With a total of 200W RMS power, this pick is a no-brainer for those who seek a heavy sound. The Logitech Z623 consists of two 35W speakers and a subwoofer with a punchy 130W of THX-certified audio quality. As far as sound is concerned, you won’t be able to find anything better for this price. If you have limited budget, go for the Cyber Acoustics CA-3602; if you want something better, don’t settle for anything below the mighty Logitech Z623. The speakers are as practical as they are powerful. You can have your smartphone, TV/console, and the PC simultaneously connected to the speaker system and then swap the audio channel as needed without reconnecting the cables. The main speaker offers knobs for bass and overall volume as well as both the headphones and AUX jacks at the side. The cable length between the two speakers may be too short for certain setups though. Overall, if you’re looking for the best PC speakers under 100 USD for music, gaming, and home entertainment, you can’t go wrong with the Logitech Z623. 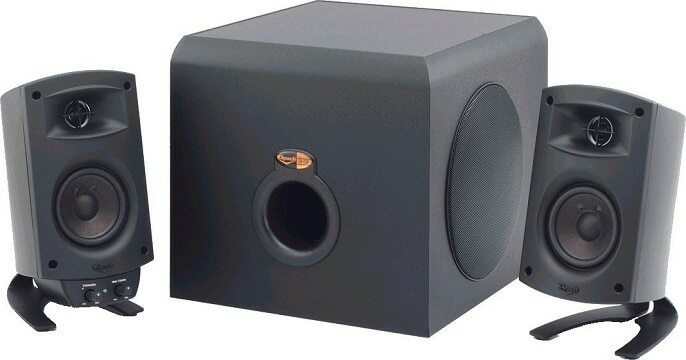 The Klipsch ProMedia 2.1 is the best computer speakers under 200 USD. Just like the Logitech Z623, these offer 200W RMS in total as well as the THX-certified audio quality, however, they offer a wider frequency response range of 31Hz to 20 KHz. Overall, the sound quality is similar to the Z623 in many ways, but you do get better-balanced lows, mids, and highs – something which audiophiles will appreciate. The design is also very appealing as the speakers look great with or without the detachable grill. The subwoofer is massive and can produce very loud and punchy sound. Furthermore, the speakers are made of hard plastic while the stand is metal. You can also detach the control pod from the main speaker and place it elsewhere. The control pod offers subwoofer and main volume knobs as well as the headphones and AUX jacks. This is the point where you’re paying more for a smaller upgrade as opposed to the previous speakers. So, if you’re on a limited budget, go for the Z623 instead. The difference between the two is not prominent, so it may not be worth it for everyone. If you want premium sound for your money and a sleek and beautiful design, the following high-end PC speakers will do the job. 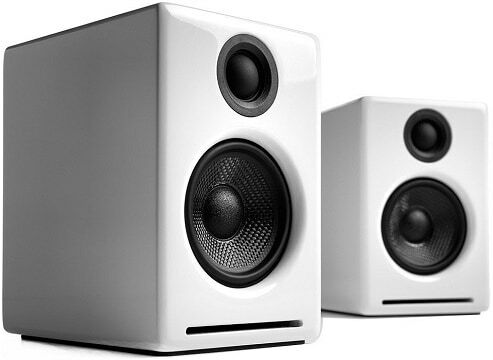 The Audioengine A2+ are a pair of performance Hi-Fi computer speakers, which are aimed more towards audiophiles. They come in both black and white gloss designs, and the front-facing woofers make them look very professional. The hand polished finish that encloses the wooden frame is well made, and the analog amplifiers that are built into the left speaker make it easy to connect cables to one location. The woofers are made out of a high-quality Kevlar material and the tweeters are made of silk. This step-up over other speakers on this list makes them some of the most premium, great sounding speakers on the market. They are designed for desktop use especially in mind, and they would look good with any setup, and they could easily transform it from a low grade to high grade looking setup. If you’re looking to spend on your speakers as much as you’d on your graphics card upgrade, then we recommend the Audioengine A5+. These audiophile computer speakers take everything good about the A2+ model and kick it up a notch. 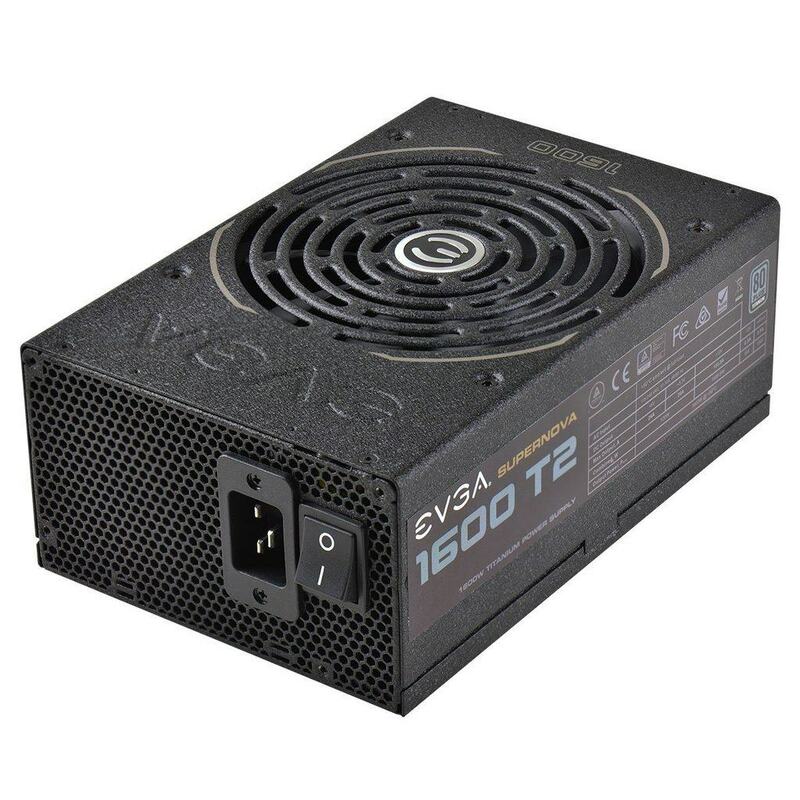 You get 75W of peak RMS power per channel as opposed to 30W of the A2+. With A5’s massive 5” integrated Kevlar subwoofers, there’s no lack of bass whatsoever. The speakers are very versatile when it comes to the connectivity with a 3.5mm jack and RCA L/R stereo inputs. Next, you have the USB port which you can use to charge your phone or tablet. Using the RCA L/R output, you can also connect a dedicated subwoofer. Additionally, there’s a heat-sink which keeps your high-end speakers cool even after prolonged use. On the front of the left (main) speaker, you’ll find the volume control and a power indicator. Overall, if you want no compromise for audio quality regardless whether you’re gaming or listening to music, the Audioengine A5+ will deliver. Some video games, mostly RPGs, support surround sound. If this is the case with your favorite games, then getting 5.1 speakers can make your gaming experience much more immersive. Moreover, you’ll be able to use the speakers for epic movie watching experience. Logitech offers great value for money speakers in this category. Wondering what’s the least amount of money you could spend on a really good 5.1 surround system? The Logitech Z506 are the best computer speakers under 100 USD if you’re looking for a cinematic listening experience. The speakers are more than loud enough to fill a medium-sized room with rich and crisp sound with a total of 75W. You plug in all the speakers into the subwoofer at the back where you will also find the volume knob for the bass as well as the inputs for your PC. On the right-front speaker, you will find the volume knob, the power switch, and the headphones jack. All in all, if you’re on a limited budget and want a good 5.1 surround system for your PC, you won’t be able to find a better deal for the price. 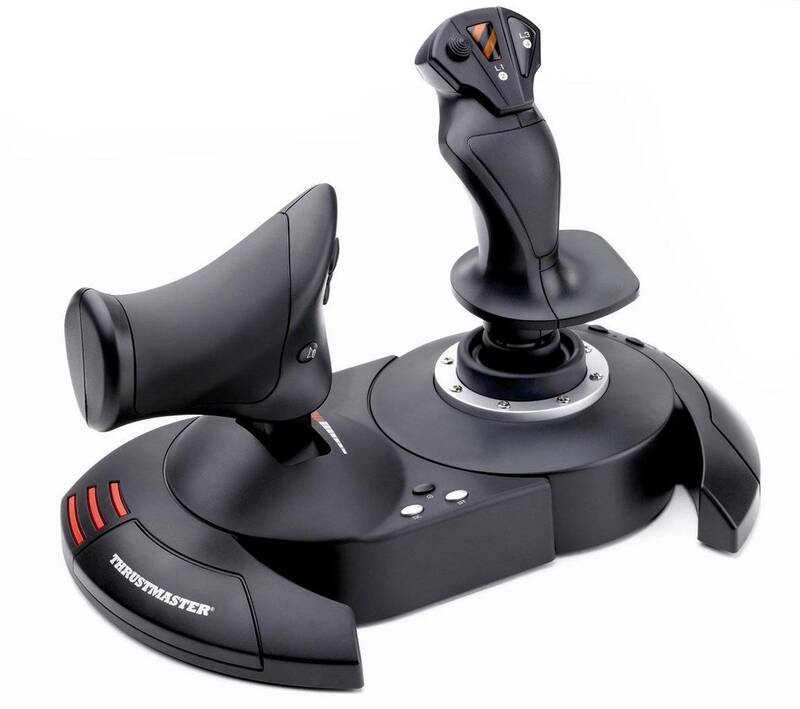 In case you want something bigger and stronger, we can’t recommend the Logitech Z906 enough. Unlike the Z506 model, this 5.1 sound system comes with a dedicated control console as well as a wireless remote which allow you to do any audio adjustments you might need. With 500W of real RMS continuous power and 1000W peak power, you can rest assured you’ll be able to fill any room with resonating music. The audio quality itself is fascinating as well with THX certification and support for Dolby Digital and DTS. As expected, there’s a plenty of connectors available including the 5.1 inputs for PC, two optical, and one coaxial connection. Using the command console, you can easily swap between six audio channels including those which are connected via the AUX and headphones jacks which are located on the left side of the console itself. On balance, the Logitech Z906 5.1 speakers offer excellent sound quality, can be incredibly loud, look great wherever you put them and have versatile connectivity. All of that for a very appealing price tag. You most likely won’t need anything more and you shouldn’t settle for anything less – at least when it comes to gaming as the main activity and home theatre as the secondary. Hopefully, we’ve helped you find the perfect PC speakers for your needs. Whether it’s for gaming, movie watching, or listening to music, we’ve tried to include only the best choices for different budgets while eliminating unworthy alternatives in order to make this buyer’s guide as simple and straightforward as possible. Enjoy your new speakers and don’t hold back to crank them up!